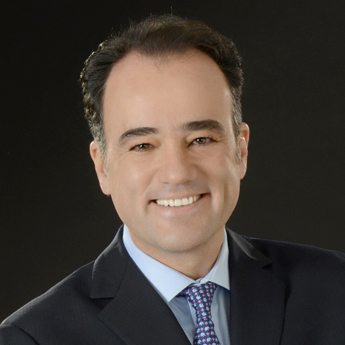 As CEO of Apple Leisure Group, Alejandro Zozaya leverages 30 years of industry insight to optimize global synergies between the Group’s six leading hospitality companies. Through the unparalleled distribution of Apple Vacations®, Travel Impressions® and CheapCaribbean.com®, ALG serves more than 2 million guests annually—delivering more North American leisure travelers to Mexico and the Caribbean than any other hospitality company in the world. Amstar DMC is the largest destination management company in Mexico, Jamaica and the Dominican Republic. For over 25 years, Amstar has expertly served group, business and leisure travelers with personalized tours, private excursions and deluxe airport transfers. AMResorts® and its popular guest loyalty program, Unlimited Vacation Club®, spearhead ALG’s rapidly expanding resort product portfolio. Since 2001, AMResorts has elevated the all-inclusive resort experience with an esteemed collection of luxury brands: Zoëtry® Wellness & Spa Resorts, Secrets®, Breathless®, Dreams®, Now®, and Sunscape® Resorts & Spas. By 2018, more than 60 hotels (totaling 20,000+ rooms) throughout 8 countries will be under AMResorts’ award-winning resort brand management. Prior to establishing AMResorts in 2001, Alex held senior positions at Fiesta Americana Hotels & Resorts, where he directed all commercial activities for Latin America’s largest hotel consortium.